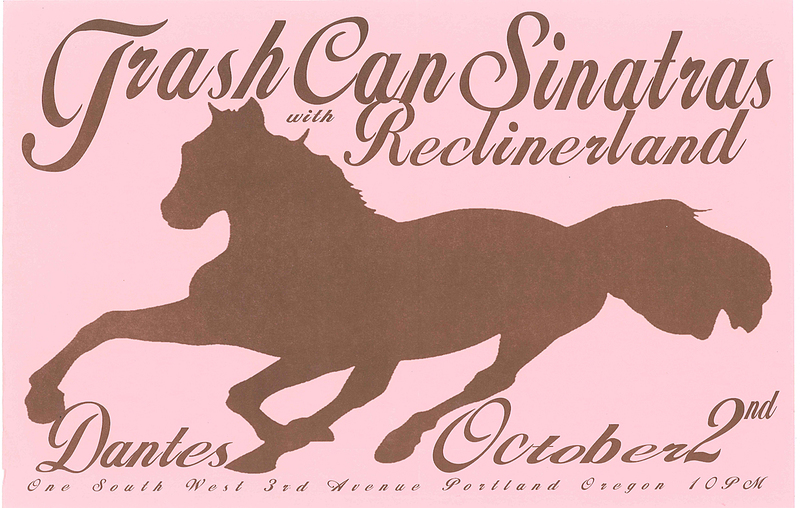 Here’s a poster for the band’s gig at Dante’s, Portland Oregon – part of the the 2004 tour which included over 50 appearances in Spain, England, Scotland and North America. This tour was the band’s first in support of fourth album, ‘Weightlifting’ and it was prior to the single, ‘All The Dark Horses’ being released the following year in the US. More thanks go to Ben ‘Tour Manager’ Marts for sending this through.